When I watched Stranger Things, I realized one thing, "I am watching Insidious." Do not get me wrong. It is a good thing. Even though Stranger Things has its similarities with Insidious, Stranger Things still has its own specialty. When I compared Stranger Things and Insidious, I found that Stranger Things has a unique cast ensemble and storyline. 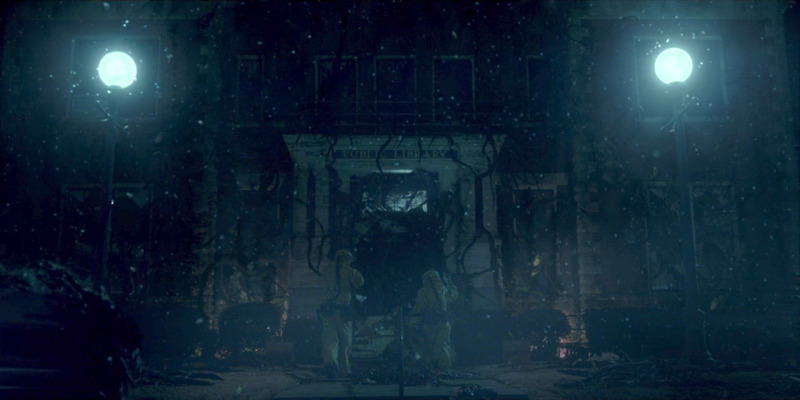 Let's dig below, six things why Stranger Things are similar to Insidious. 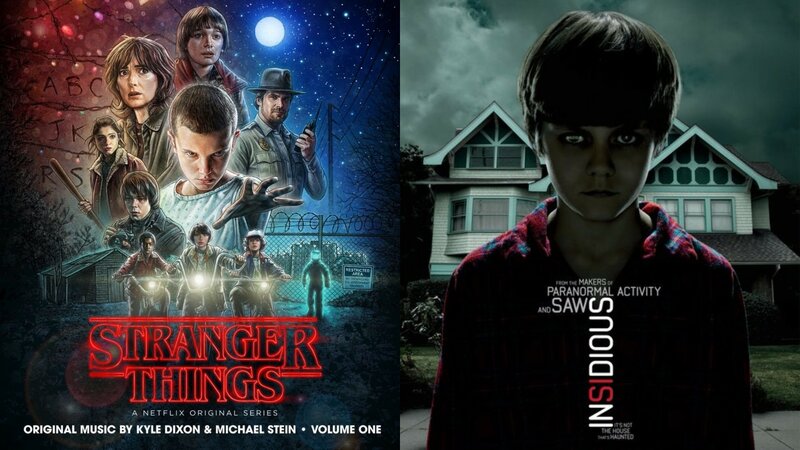 Stranger Things has The Upside Down and Insidious has The Further. The Upside Down and The Further are spooky, deadly, and dangerous. 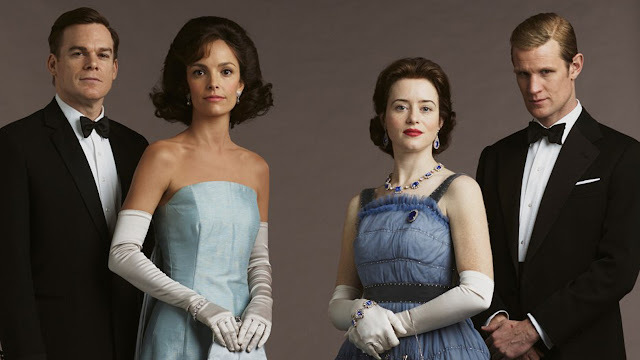 Both worlds are the main setting for these two sagas. The only difference; The Upside Down was scientifically opened while The Further is a supernatural dimension. 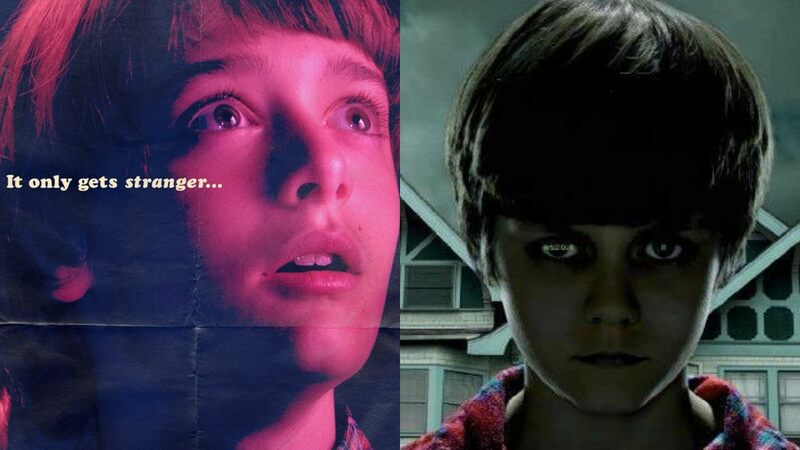 Noah Schnapp (left) as Will Byers in Stranger Things and Ty Simpkins (right) as Dalton Lambert in Insidious. Both stories started with a kid. A kid who was trapped in another world. Will Byers in Stranger Things was taken to The Upside Down, while Dalton Lambert in Insidious was trapped in The Further. It was believed that Dalton has the ability to travel to the astral plane when he was asleep and he has traveled too far and lost in The Further. Will was just unlucky, he got 'kidnapped'. Winona Ryder (left) as Joyce Byers in Stranger Things and Rose Byrne (right) as Renai Lambert in Insidious. When Joyce Byers' son went missing, she believed that his son was still alive. She was crazy, talking to the Christmas lights because she knew her son was not drowned in the Sattlers' quarry but communicated with her through the electrical lights from The Upside Down. Eventually, she was not crazy after all. Her son was taken by a monster, which brought him to The Upside Down. 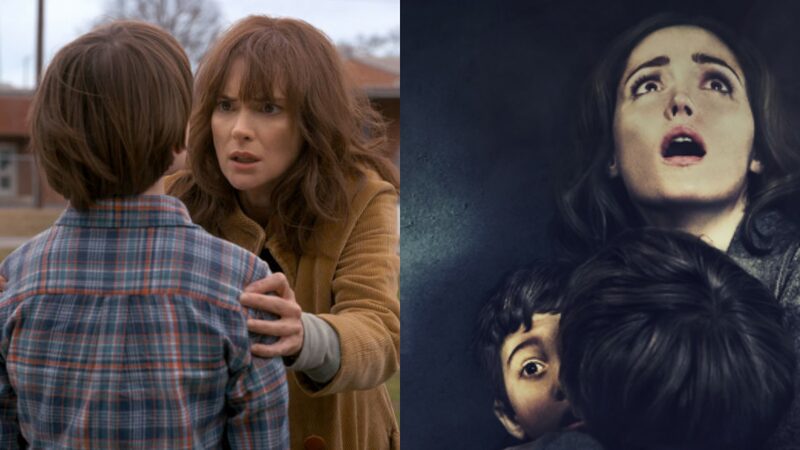 During the final episode of Season 1, she was not even afraid to enter The Upside Down, as long as she could bring her son back home. In Insidious, Renai Lambert took care of her son for three months when he was in comma while his soul was wandering in The Further. Matter of fact, she was there beside her son when he was in The Further, to bring her husband's soul back to his body. Just like Joyce, Renai was not afraid of anything and family is her utmost priority. 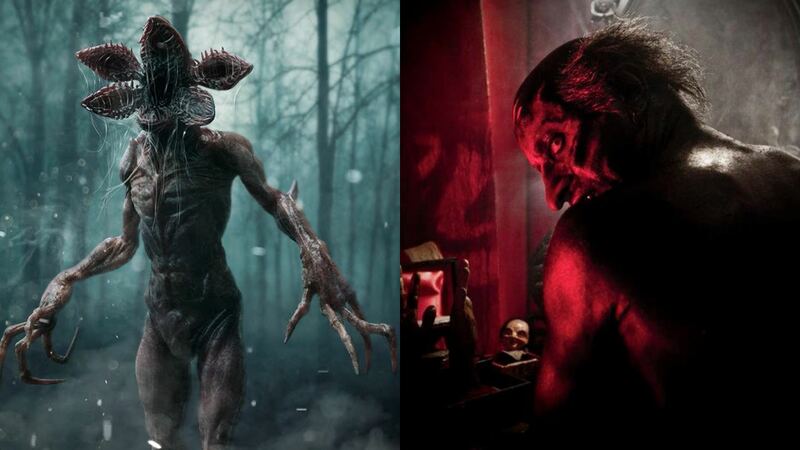 The Demogorgon (left) in Stranger Things and The Lipstick-Faced Demon in Insidious. Say hello to both of the antagonists. 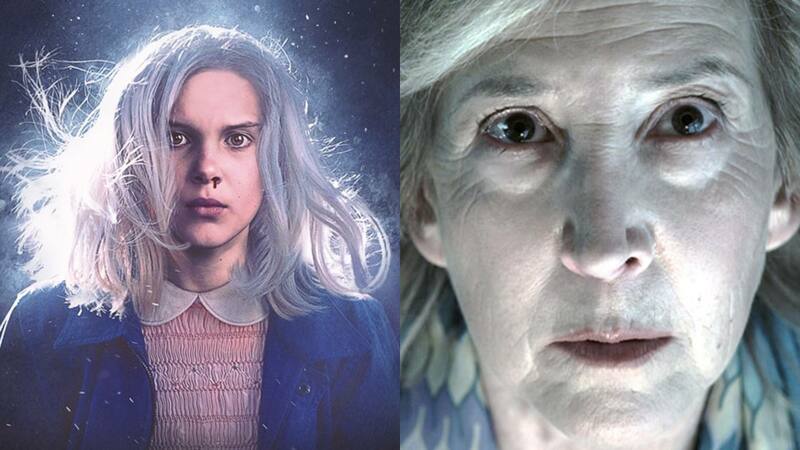 Millie Bobby Brown (left) as Eleven in Stranger Things and Lin Shaye (right) as Elise Rainier in Insidious. Unfortunately, at one point, Eleven's telekinetic power was so strong, she opened the gate to The Upside Down without her intention. She let the Demogorgon escaped from The Upside Down, which took Will Byers. She caused the vanishing of Will Byers. And she was the one who traced his location, where Joyce Byers could find her son in The Upside Down. In Insidious, we have Elise Rainier. Her power is a gift, eligible for her to connect to The Further. Just like Eleven, her knowledge as a demonologist helped the Lamberts to search for Dalton. Insidious has a small squad, Specks and Tuck. Both of them are Elise's sidekicks. 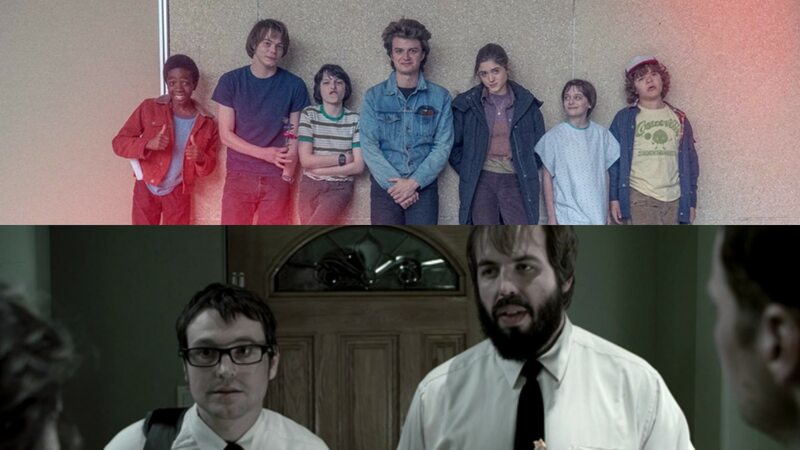 In Stranger Things, Eleven and Will Byers received help from their squad too, which is bigger. 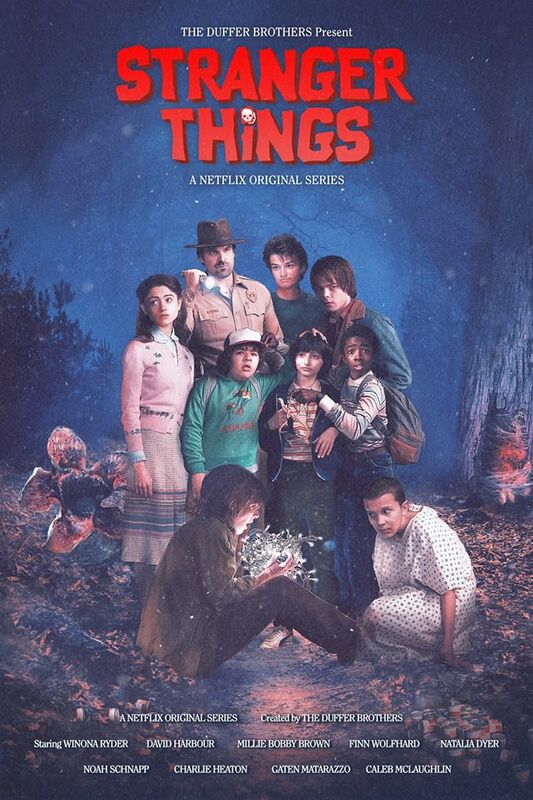 Besides Will's mother, he has his three close friends, Mike Wheeler (who developed a crush towards Eleven), Lucas Sinclair and Dustin Henderson to search him. 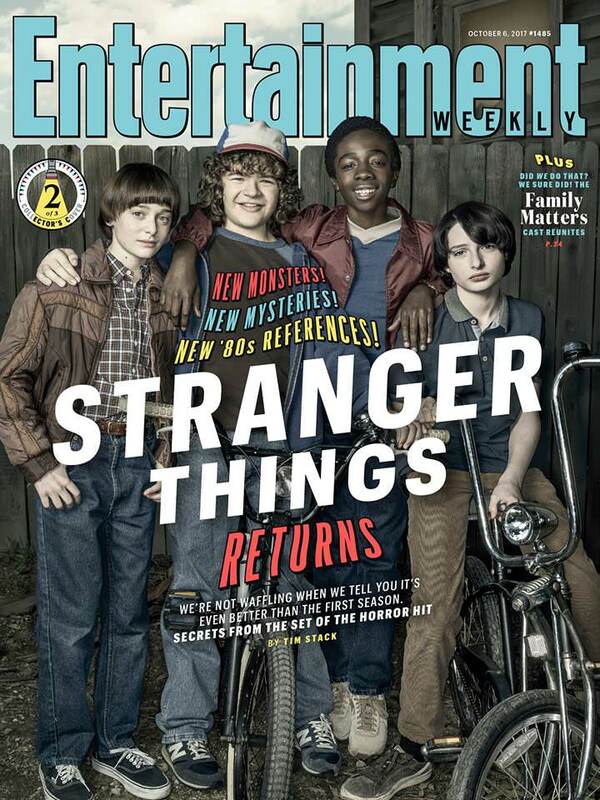 From left, Noah Schnapp as Will Byers, Gaten Matarazzo as Dustin Henderson, Caleb McLaughlin as Lucas Sinclair, and Finn Wolfhard as Mike Wheeler. Included in the squad were Mike Wheeler's elder sister, Nancy Wheeler, Will Byers elder brother, Jonathan Byers, Nancy's boyfriend, Steve Harrington, and the town's police chief, Chief Jim Hopper (he was Joyce's friend at school back in the day). 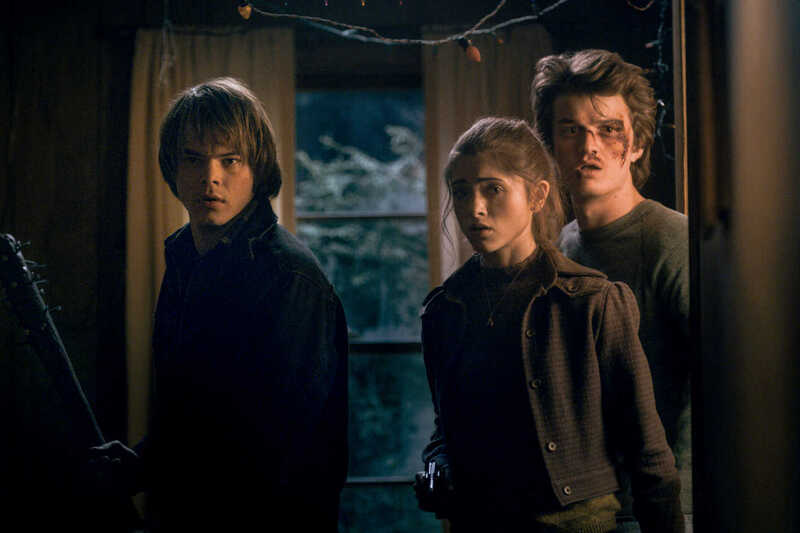 From left, Charlie Heaton as Jonathan Byers, Natalie Dyer as Nancy Wheeler, and Joe Keery as Steve Harrington. 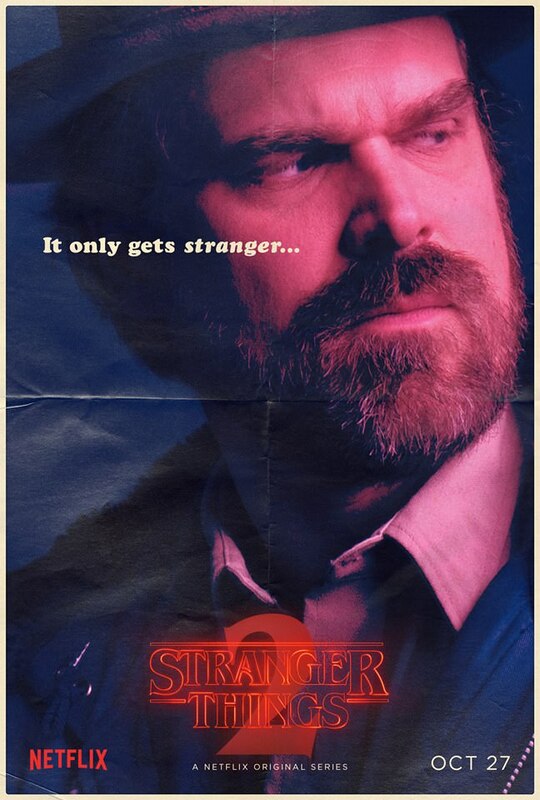 David Harbour as Chief Jim Hopper. This is not a battle of which is better, Stranger Things or Insidious. Putting aside the monsters, demons, and the outside world, both sagas embrace the value of togetherness, friendship, and family. That is the essence of Stranger Things and Insidious.